Dimensions: 18 x 12 in. (45.7 x 30.5 cm) approx. Portrait of Marie is an early oil painting that Lewis created as a classroom exercise at Morgan State College. 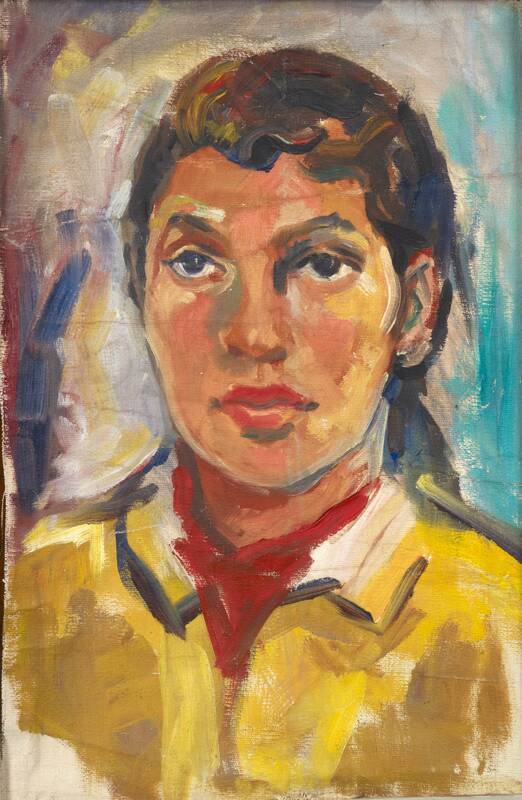 It depicts one of her students, Marie Johnson (later Marie Johnson Calloway), who would become an artist in her own right, one whose work is included in Now Dig This! "Portrait of Marie." Now Dig This! Art in Black Los Angeles, 1960–1980 Digital Archive. Los Angeles: Hammer Museum, 2016. https://hammer.ucla.edu/now-dig-this/art/portrait-of-marie.